This week I was back in Lahore. 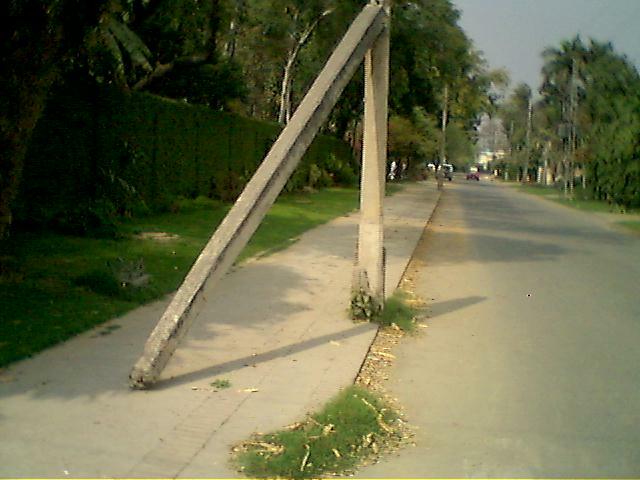 To my horror and surprise, the poles that I wrote about in my earlier blog entitled Last Pole Standing, that had been standing since 1917 were finally brought down by Lahore Cantonment Board (A Military run organization). They considered them as nuisance on the sidewalk and are now no more. The poles had survived for over 91 years, but could not survive the current military regime. Let’s hope and pray that such senseless acts are not repeated and our historical and heritage is preserved for future generations to see our history and society. Lahore, is an old and historical city. In fact, the mega metropolitan is over 2,000 years old. It has seen many cultures, religions and invaders leave their impact over the course of centuries. Most recently, it were the British who had designated Lahore as the capital of United Punjab (India, Pakistan provinces of Punjab etc). The city now has over 9 million inhabitants and is Pakistan’s second largest city and most definitely its cultural capital. Now, according to the records that I have been digging up, it seems electricity reached the city around 1909. And within a decade was spread all over the city. As it happens, I chanced upon one of the earliest electricity poles in the city dating back to 1917. 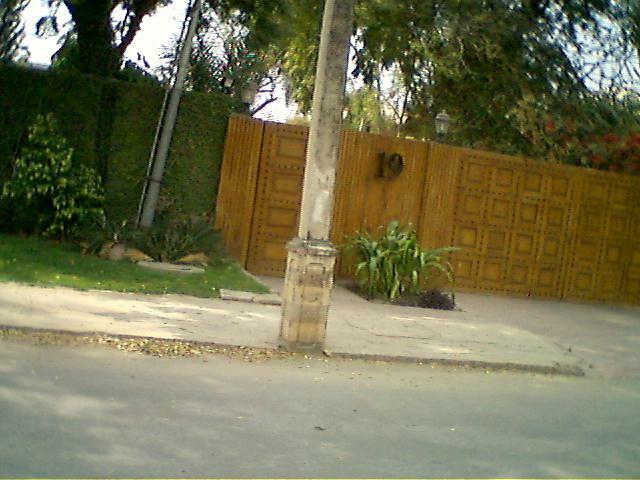 Yes, they still survive and two such poles can be found on Zafar Road (Off Abid Majeed Road) in Lahore Cantt. As the picture depicts, these poles were installed in Cantonment area around 1917 (the date is carved on each of the poles). There are now only two such surviving pieces left on the street. In fact, one of them is already broken down in two the other is still intact. Culturally, we should be preserving them as they are almost 100 years old and carried one of the first electricity based power in Lahore. They are our living heritage. For all those vintage and classic car fans out there, Pearl Continental Lahore has a treat for you. 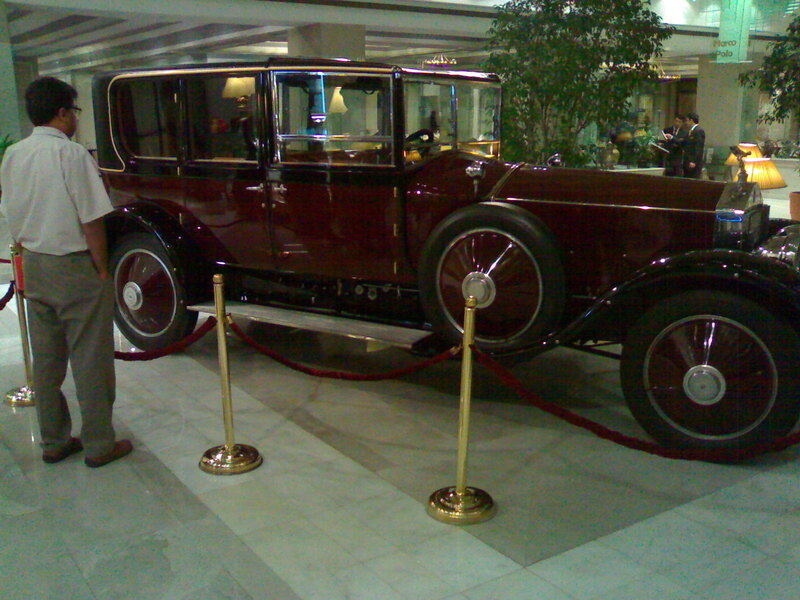 A 1922, fully restored Rolls Royce is on display in the main lobby. It is amazing to see how many Lahoris stop and admire the beautifully restored vehicle. Many even resort to taking pictures with it. I must say, it is a treat for us fans of vintage vehicles. 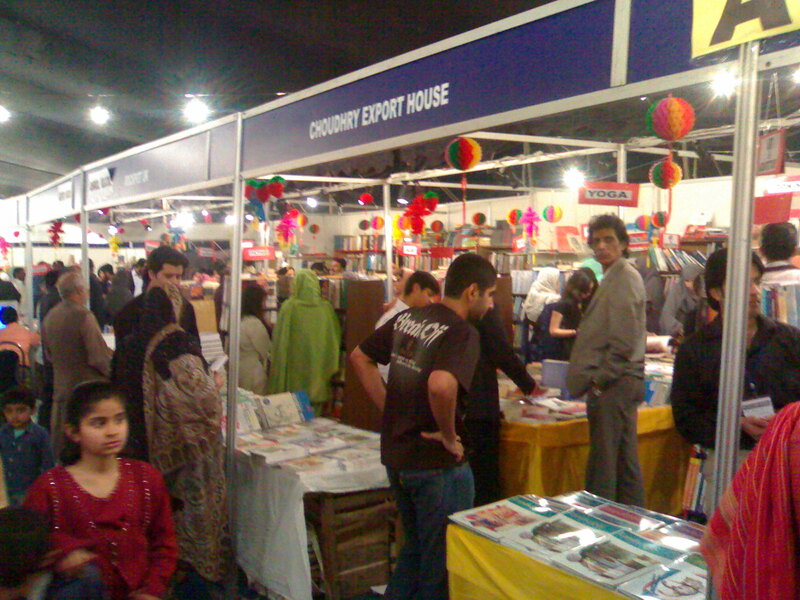 This is probably Pakistan’s largest book fair to be held this year at Fortress Stadium Lahore. There were publishers from all parts of Pakistan, and a few from our neighboring India as well. An estimated 40,000 people have visited the fair since it started on February 28, 2008. The last day is Monday, March 3, 2008. Many big publishers and bookstores had setup huge stalls where they sold books at steep discounts including the well known ones like Ferozesons, Sang-e-meel, Liberty Books, Vanguard, Readings, Oxford University Press, among others. There were also many text book publishers and religious publishers who also sold books in English and Urdu including the Holy Quran. I even saw one stall selling audio books which was attracting lot of interest. I ended up picking up many wonderful books (business, fiction and biographies) at over 50% discount and even more for some of my favorites. One interesting point to note was that lots of families were there with their young kids. And many of them were pushing, pulling and coercing their parents to buy them their favorite children books. It was amazing to see such huge interest in the youth in reading. It shows that Harry Potter is not the only fiction that kids read today. And it further validates that the tradition of Lahoris (of being lovers of poetry and literature) is not lost but is still vibrant and being passed onto the youth of the country with much fan fare. I would love to see such events happening more often all over Pakistan. The cold spell has finally broken. And with it the wonderful spring atmosphere is finally here. This was probably the longest cold spell for a long time in Pakistan. With Islamabad, Lahore and other major cities suffering from near freezing temperatures at night. But now with warmer afternoons and pleasant evenings, the spring weather is finally here. Here is a picture of my garden taken today. In a week or so, it will be blossoming with flowers that make the Lahori spring a wonderful experience.